He spoke with a Celebrity representative after learning the Millennium had broken down. “I was told that the offer was $200 per person for airfare change fees and 25 percent of the current cruise cost towards a future [airline] booking,” he says. That doesn’t really work for him. Kauffman, who describes himself as a “DIY” traveler (which means he booked without using a travel agent and didn’t buy the cruise and airfare together) was taking the cruise as part of a three-week vacation to Alaska. The cruise was a one-way cruise from Anchorage to Vancouver and our flight back to the States was originally on Air Canada. Now we will be spending the first week of our trip in and around Anchorage as planned and will need to fly home from there instead of Vancouver. But ticket restrictions mean that he can’t fly back home directly. Air Canada will only change his ticket to a domestic destination in Canada. “The cruise line has offered to compensate us for part of the airline ticket change fee, but the credit I will receive from Air Canada must be used for booking a flight prior to the end of October 2013 — one year from the date of the initial booking,” he says. Kauffman has no plans to return to Canada that soon. Unless Celebrity refunds his airline ticket, he will lose it. So he asked Celebrity to make an exception to its refund offer. We appreciate you for taking the time to contact us regarding your canceled Celebrity Millennium sailing. Please accept our deepest apologies for this unfortunate situation. We sympathize with your frustration, as we fully intended to provide you with an exceptional cruise vacation. It is extremely disheartening that, due to unforeseen circumstances, we were denied the opportunity to do so. We understand that it may be difficult to re-use your airline tickets given the circumstances outlined in your correspondence. Regrettably, we are not providing guests with refunds of air tickets. Kauffman still has a few options, but they aren’t ideal. He can completely forfeit the Air Canada ticket or he can take Celebrity up on its offer to cover the change fee and try to book a long weekend trip to Canada in the near future. But something about this just doesn’t seem fair to him. 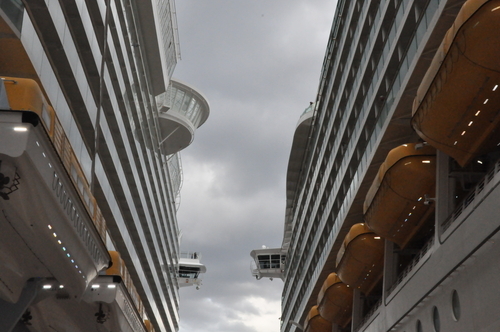 After all, he didn’t cancel the cruise — Celebrity did. Carrier may for any reason at any time and without prior notice, cancel, advance, postpone or deviate from any scheduled sailing, port of call, destination, lodging or any activity on or off the Vessel, or substitute another vessel or port of call, destination, lodging or activity. Carrier shall not be liable for any claim whatsoever by Passenger, including but not limited to loss, compensation or refund, by reason of such cancellation, advancement, postponement, substitution or deviation. Similarly, the new cruise line “bill of rights” offers no hope of an airfare refund. Paragraph 2 offers the right, “to a full refund for a trip that is canceled due to mechanical failures, or a partial refund for voyages that are terminated early due to those failures.” No word on reimbursed airfare, though. Of course, Kauffman could have avoided much of this unpleasantness by using a travel agent and buying an insurance policy that covers cancellations. But I also think Celebrity might want to consider making an exception to its “no refunds” rule on this one. Should this cruise be an expensive “lesson learned” for Kauffman, or should I get involved? Should I mediate Douglas Kauffman's case?